Whether strolling down St. Marks Place, wrestling with the many lives of Orson Welles, or wondering where Virginia Woolf got her clothes, the biographer must inevitably confront the vexing question of perspective: Where do you stand in relation to your subject, whether it’s a street, a cinematic genius, a brilliant novelist, or indeed yourself? At the Leon Levy Biography Conference, held on March 8 and organized around the theme of “Point of View,” an impressive roster of speakers engaged this question as they discussed their perspective on particular places and particular people. In the day’s first panel dealing with “Place and Displacement: Looking Homeward,” Ada Calhoun, the author of St. Marks is Dead: The Many Lives of America’s Hippest Street, focused on the street where she grew up and its transformation from a hippie mecca to a weekend gathering place for Asian teenagers. 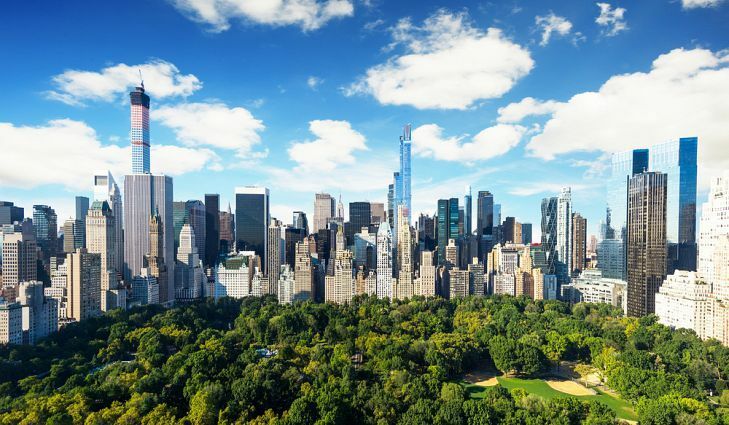 Daniel Menaker, who edited fiction at The New Yorker for many years before becoming editor-in-chief of Random House, discussed his early life in the West Village, a “childhood Eden” shattered by the death of his brother from a staph infection. As he explicated the title of his recently published memoir, My Mistake, Menaker spoke about the connection, as he sees it, between comedy and sadness, about how humor gives us a point of view from which to deal with tragedy. For Margo Jefferson, the place of ambiguous belonging was her Chicago home, where she parsed the line between affiliation with “our people” and her family’s belief they were the “best”. Her point of view shifted as she participated in the “delicate dancing of race,” navigating an imperative never to reveal vulnerability and a pressing responsibility to write about her experience—as she did most recently in Negroland: A Memoir, which just won the National Book Critics Circle prize for memoir. Patrick McGilligan discussed his latest biography on a panel about Orson Welles. 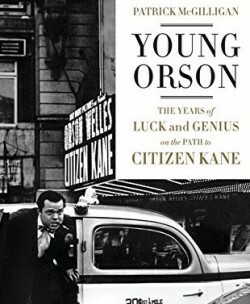 In the panel “The Lives of Orson Welles,” Patrick McGilligan recalled the time spent researching his book Young Orson: The Years of Luck and Genius on the Path to Citizen Kane. Reading some eighteen years of the Kenosha News on microfilm rendered a feel for the place where Welles was born and, at six years old, recited Shakespeare. Observing that Welles loved literature throughout his career, writing for radio, stage, and film, McGilligan adopted a literary point of view for assessing his life. In contrast to McGilligan’s exploration of Welles’s early years, Josh Karp (author of Orson Welles’s Last Movie: The Making of The Other Side of the Wind) asked from what perspective should one (can one?) write about such a protean figure. Was he a closeted homosexual? How important are the boozy friendships with figures such as John Houston? What does it signify that Welles insisted all his leading ladies cut their hair short? David Nasaw, whose books include The Chief: The Life of William Randolph Hearst, asked the audience to consider Citizen Kane in terms of Welles’s complicated view of Hearst, and argued that Welles distorted Hearst’s essentially happy life in order to make a sensational biopic. All three panelists agreed that Welles is the prototypical challenging subject for the biographer. Nasaw, in particular, argued that such a massively talented actor, director, and writer can “steal your book” (as he put it): take over your life, appropriate your biographical voice, dislodge your point of view. The “Forgotten Women’s Lives” panel focused on five fascinating figures; moderator Annalyn Swan invited the speakers to bring them out of the shadows. Lisa Cohen discussed the three women she depicts in her book All We Know: Three Lives: Esther Murphy, a New York socialite and writer; Mercedes de Acosta, a writer and art collector; and Madge Garland, an Australian fashion editor at British Vogue. Her interest in Madge Garland began when she read Virginia Woolf’s diaries and came across the name as someone whose clothes Woolf wore; learning more about Garland led her to Murphy and Acosta, to lesbian life in Paris in the 1920s, and to the formal challenge of managing a group biography. In discussing her research for Frida: A Biography of Frida Kahlo, Hayden Herrera evoked her experiences in Mexico, where her outsider point of view aimed to detach Kahlo from her primary identity as the wife of Diego Rivera and to place her in a larger international perspective. 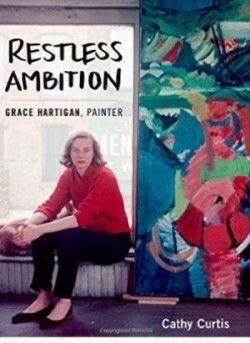 Cathy Curtis’s interest in the rich life of the painter Grace Hartigan, which she has traced in Restless Ambition: Grace Hartigan, Painter, began when she was wandering through the abstract expressionist rooms at the Museum of Modern Art and suddenly came across Hartigan’s painting of Shinnecock Canal on Long Island. Her perspective on Hartigan’s life and work began with a desire to retrieve her reputation from the male-dominated art world of the 1940s and ’50s. In contrast to speakers on the earlier panel who had explored the challenge of writing about someone almost preternaturally famous, Cohen, Herrera, and Curtis persuasively argued for writing about unknown or relatively unknown figures; the gratification in such biographical work is giving voice to the formerly unheard. The afternoon concluded with a conversation between William P. Kelly, the New York Library’s Director of Research Libraries, chairman of the Guggenheim Foundation, and former interim chancellor of CUNY and president of the Graduate Center, and Peter Guralnick, whose most recent book, Sam Phillips: The Man Who Invented Rock ‘N’ Roll, is a finalist for the Plutarch Award. 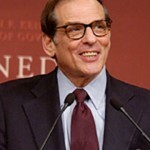 Guralnick’s point of view in exploring Phillips’s life was one of passionate involvement and steady patience. For example, after driving many miles to conduct an interview, he found himself taking notes for almost six hours. In talking about Phillips, Guralnick assumed a voice of admiring commitment, and in one way or another, all the speakers at this year’s Leon Levy Biography Conference gave voice to their subjects: famous figures, unknown women, and, of course, their own biographical selves. 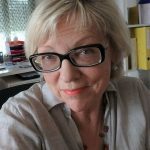 Deirdre David is the author of Fanny Kemble: A Performed Life (U. Penn Press, 2007) and Olivia Manning: A Woman at War (Oxford University Press, 2012). She is currently completing Pamela Hansford Johnson: A Writing Life (under contract to Oxford). Before becoming a biographer, she published several books dealing with Victorian literature and society.